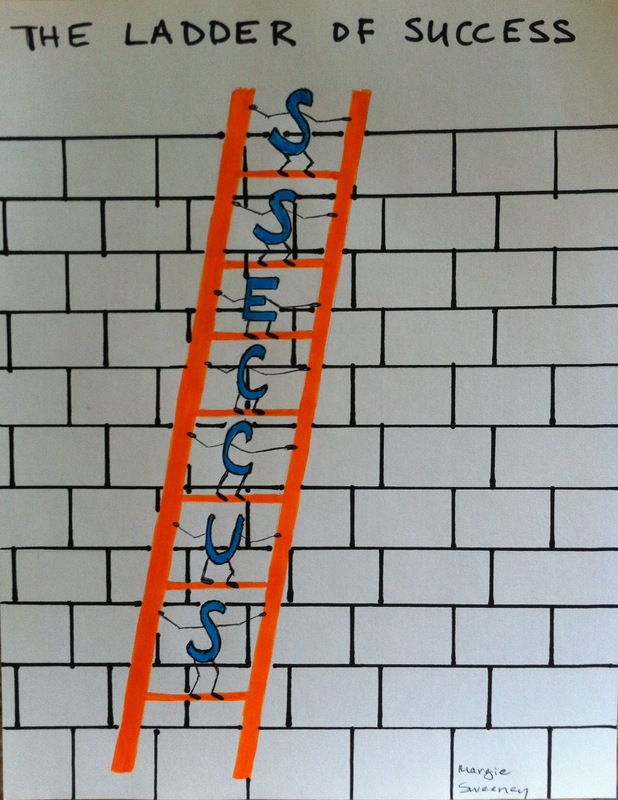 What are the steps on the Ladder of Success? I will point out a few. I’m sure you can come up with more! I believe the first step on the Ladder of Success is vision. You need to have a vision of what success means to you. How will success look, feel, taste, sound, and smell? Engage all your senses. How will success affect your life – spiritual, emotional, physical, financial, intellectual, relational, etc? You need to get a very detailed vision of this success so that you will know when you have arrived. The more detail you can include, the more you can determine the steps that are needed to get there. Some of these steps might be finances, network of influence, talents, etc. Are you starting to get the picture? Once you have set your vision, the next step is to determine your assets. What are your talents, your financial investment, network of influence, motivations, etc. All of these assets are various steps on your ladder. You might need to climb them sequentially or you may need to go up and down the ladder a few steps at a time until you achieve a level of success that can get you up the next step of the ladder. You also need to determine your liabilities. What things are you lacking that can cause you to have to lower a step on the ladder or keep you from advancing a step? Some of the steps on the ladder that are assets at one point in your life can be a liability at another point in your life depending on the circumstances. That’s why most people go up and down on the ladder many times before reaching the top. This is not a sign of failure or weakness. It is normal! Very few people are sufficiently gifted or have the assets to make a straight shot to the top! The main reason for knowing your liabilities is so that you can negotiate them and learn from them so that you can overcome them or turn them into assets. How do you turn a liability into an asset? This commonly requires thinking outside the box, persistence, perseverance, confidence, faith, and stepping outside of your comfort zone. These are all traits that we have at some point in our lives. Learn to read the sign posts along the way on that ladder. Get help from a friend, family member, co-worker, boss, mentor, or coach to help you see any roadblocks or deficiencies that are holding you back from going that next step. Feel free to share your success steps and how you overcame obstacles! If you have suggestions for future blog posts, feel free to share those here or send me a message. Until next time, to your success! You are currently browsing the Pearls of Wisdom Consulting Services blog archives for June, 2012.